This rustic guest box is the perfect alternative to a guest book for your wedding. 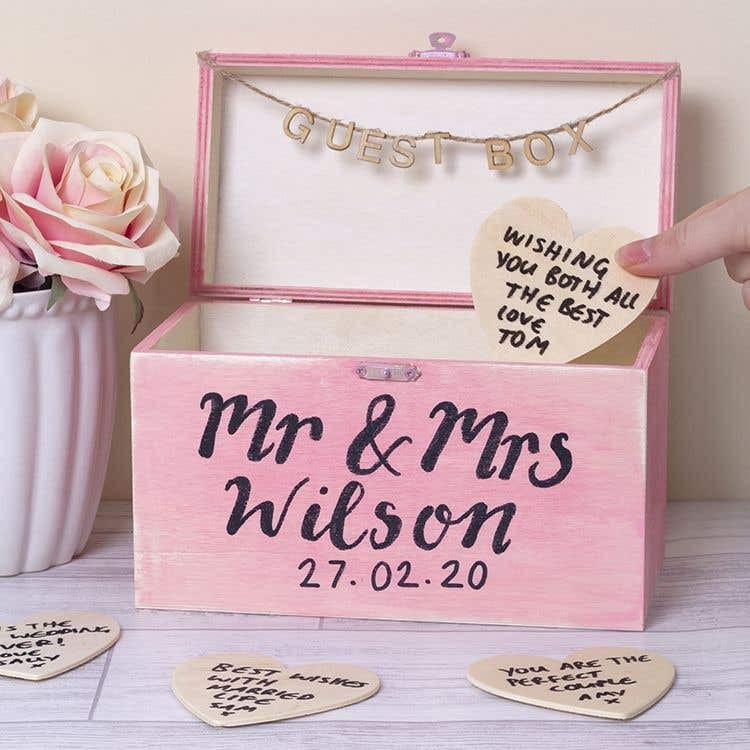 Guests can write their messages on wooden hearts and add them to the box for you to keep. 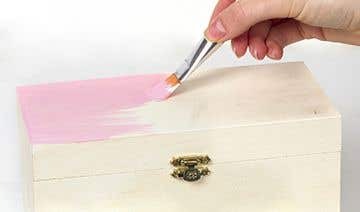 Mix some red and white paint together to create a light blush pink colour, then cover the outside of the wooden box in a coat of this paint. Leave to dry. Paint the inside of the box with white paint. Add another coat if needed. Lightly sand the edges and corners of the outside of the box, revealing some of the wood underneath the paint to give it a rustic look. Use a black pen to write your names and the date of your wedding onto the front of the box. 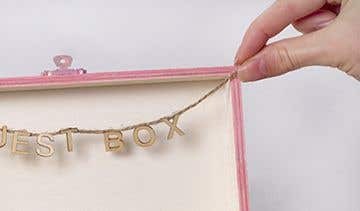 Use a glue gun to attach the word 'GUEST BOX' from wooden letters to a piece of twine. Glue the twine to the top corners of the inside of the guest box lid. Make sure the paint is completely dry before sanding, otherwise the effect may not work.